This elegant painting was recently commissioned, and is a great example of my portrait work. Like most of my paintings of women, this isn't of anyone in particular, but, represents the beauty and glamour of old movies, and vintage fashion. If you'd like to commission a painting- just get in touch, and tell me what you think you might like. 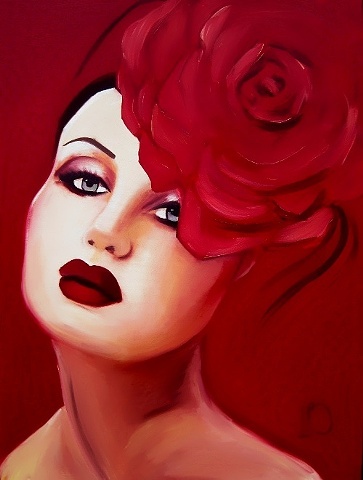 It could be a picture of you, in this style, or a painting of a woman with a vintage look and a contemporary twist.